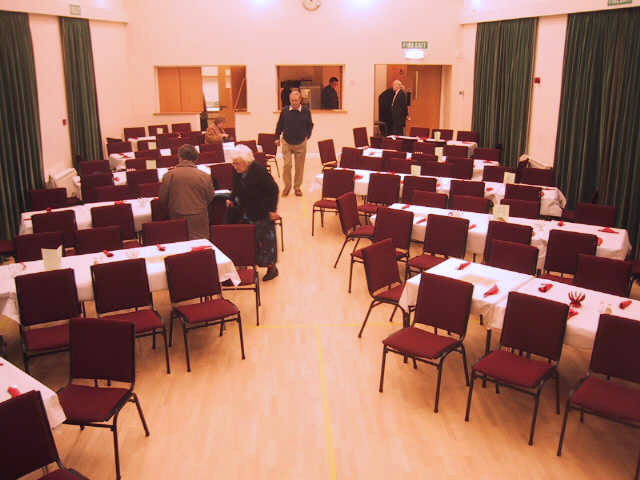 The hall is wide and high,	with	a	large	stage at one end and a bar/kitchen area at the opposite end. 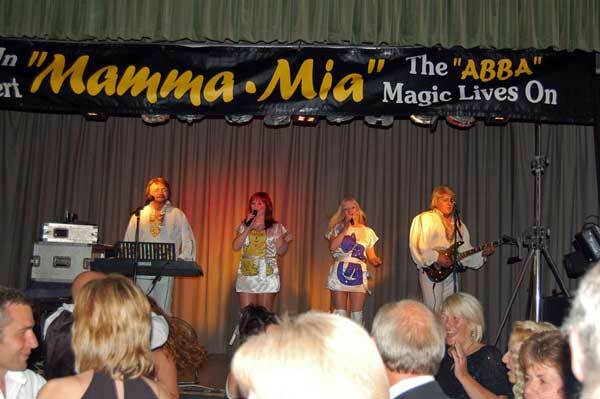 This lends itself to a variety of seating arrangements. 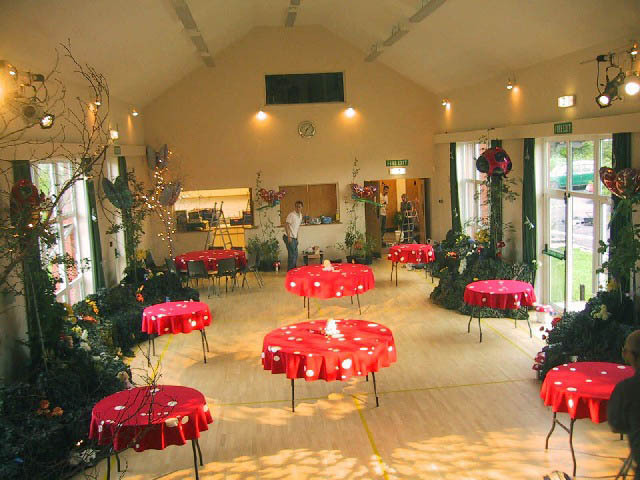 Many wedding receptions have taken place inside the hall, with the stage area perfect for entertainment after the wedding breakfast. 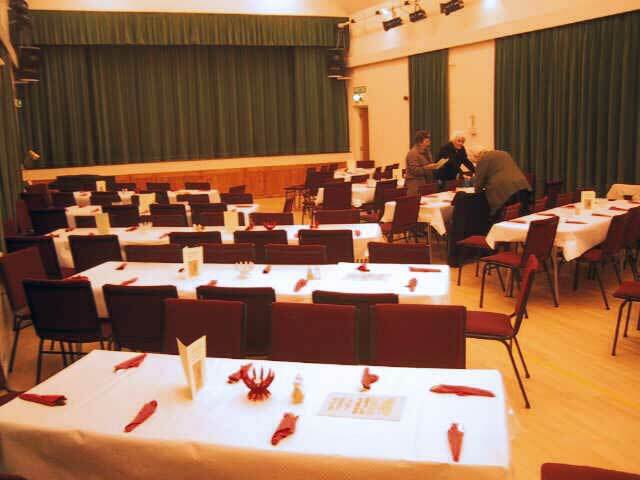 In addiition to the main hall, an adjoining room is available with its own sink and toilet facilities which can be used as a larger bar area or for storage during the event. 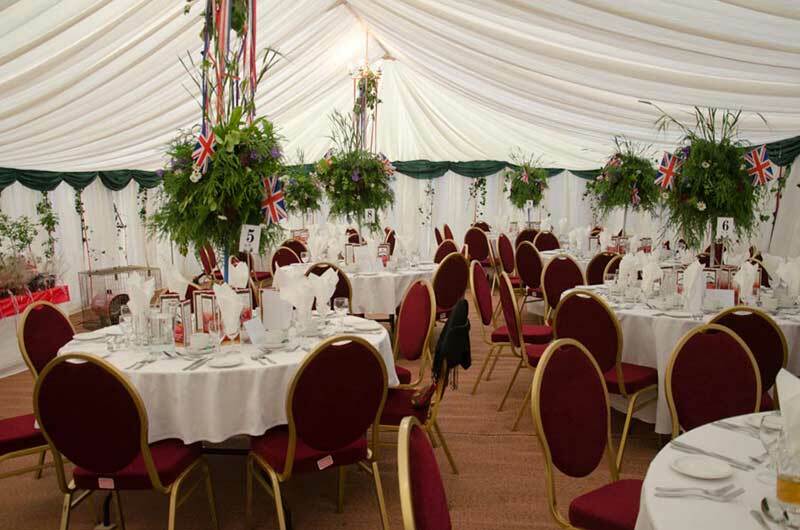 The Hall also has large round tables available and new comfortable chairs (both used for the mid-summer ball above), creating a choice of seating arrangements. 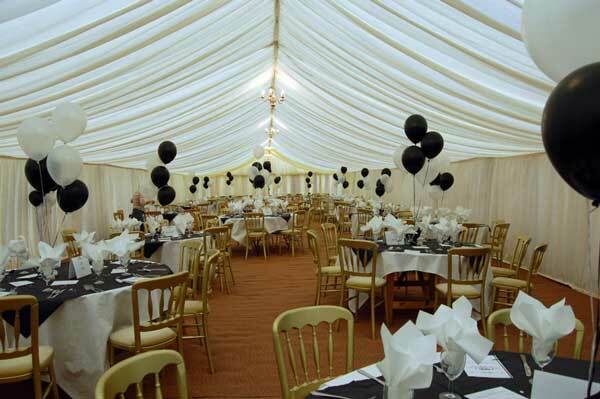 Use the hall for your reception. 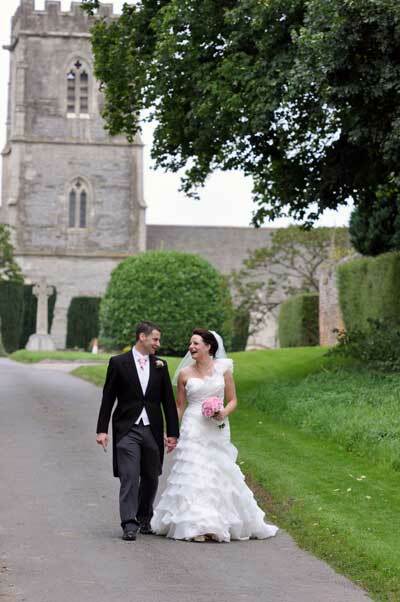 If you marry in our beautiful churtch, the hall is just a short stroll away.